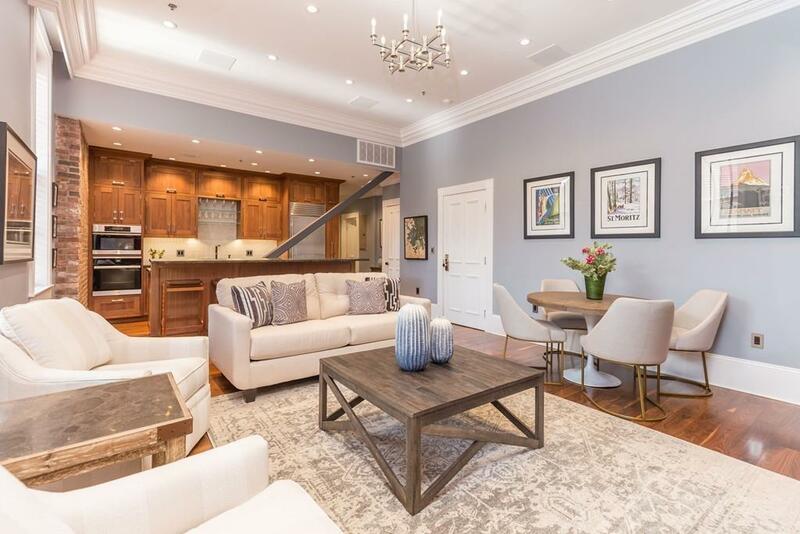 Stunning, two bedroom, two bath condo with one garaged parking space located on Beacon Hill. Open concept floor plan combines living room, dining room and entertaining space. An amazing common roof deck with views of Boston completes this home. Other amenities include: elevator, hardwood floors, gas fireplace, central air, Lutron lighting and a NEST Learning Thermostat. The fully functional Chefâs kitchen is equipped with stainless steel refrigerator, microwave, convection oven and wine fridge. Walnut cabinetry, granite countertops and plenty of counter space make for great cooking and entertaining. Washer-dryer in unit and large custom closets make this the place to live. Built in Sony TV and audio video system included. Phillips Square Residences is a pet friendly building. A second garaged parking space is available for $200, 000.